If there is a boundary, count on high school students to test it. And with the advent of social media, now the entire world–not to mention their school administrators and the rest of their student body–can watch them do it. Hundreds, probably thousands, of public middle and high school students have been disciplined for material they posted online. Some of them have filed lawsuits in response, resulting in a rapidly growing body of case law defining the boundaries between students’ free speech and legitimate disciplinary action in a socially networked world. After a few years of student social media cases, courts are still all over the map. There are no bright-line rules for determining when schools can and can’t punish a student for statements made online. A review of the most notable reported cases, however, does shed some light on what the issues are and what factors the courts find most important in reaching their decisions. At the same time, however, Tinker also made clear that students do not enjoy the same breadth of free speech rights that adults do–at least, not when that speech could “materially and substantially disrupt the work and discipline of the [public] school.” So, for example, subsequent Supreme Court decisions have upheld the right of schools to punish a student for making graphic sexual references during a commencement speech, to censor an article on teen pregnancy from a school newspaper, and to remove a student banner reading “BONG HITS 4 JESUS” from a school event. Lower federal and state courts have filled in the gaps between these precedents even further. But one of the things that make social media cases so vexing is trying to figure out where the behavior occurs. If a student writes about her school or people in it, but posts it while outside the school building, did she do it in her role as a student or merely as a kid? Put another way, does it fall within the school’s jurisdiction, or is it something only her parents can address? It didn’t used to be hard to figure out whether something happened in or out of school. You just looked to see which side of the “schoolhouse gate” you were on. Not that physical boundaries were ever the only determining factor; the 2007 “BONG HITS 4 JESUS” case allowed the school to remove the sign even though the student was standing across the street from school property. But whether a student posting to Facebook is standing inside or outside the school when she does it hardly makes a difference to what impact the post will have. In most cases, the statements are posted after school hours–but the posts remain accessible thereafter, including while at school, and could easily influence student behavior during class. Several of the reported decisions involving public schools have reversed the disciplinary actions taken against students, on the grounds that the student’s online posts were speech protected by the First Amendment. The student plaintiff in JS, a middle schooler, was also suspended for creating a fake MySpace profile with “sexually explicit content” for her principal. No one saw the profile while in school (because the school’s computers blocked access to the site). Although the court found the content “disturbing,” the only “disruption” it caused in class was a teacher yelling at students to stop their chattering about it–which even the teacher admitted was hardly an uncommon occurrence. Hence, the suspension could not pass muster under Tinker. Thus, the court reversed the girls’ suspensions. Content pertaining to, or originating in, the classroom is easier for schools to assert jurisdiction over. In the 2009 case Doninger v. Niehoff, a student in Connecticut student got frustrated with school officials over a music festival she had been planning. So she blogged about it in a manner that the court said “just about everyone but [she] agree[d] was offensive and inappropriate,” that “contained at best misleading and at worse false information regarding the music festival,” and called on students and their parents to write the school superintendent in order to “piss her off more.” When school officials discovered the message, they disqualified the student from running for class secretary for her senior year. That was her only punishment; she was not suspended or removed from school, she did not receive any other written discipline in her permanent school file, and she continued as a member of student council and as a leader of her student music class. Nevertheless, the student sued. After losing a motion for preliminary injunction and a subsequent appeal, the student also lost most of her First Amendment claims. The fact that the school’s principal was required to miss a meeting to deal with the “fallout” from the blog post was sufficient evidence of “disruption.” Still, the court left a door open for the student to disprove the school’s asserted “disruptions” at trial. It’s noteworthy, however, that several subsequent court decisions have distanced themselves from Doninger‘s First Amendment analysis, including Layshock–suggesting that the court didn’t give adequate weight to the student’s First Amendment rights. Requa v. Kent School District, a 2007 decision out of Washington, is an easier case. There, a high school junior took surreptitious video footage of a female teacher during class, including several shots of her from behind or while bending over. Then he edited the footage, set it to “booty” music, and posted it to YouTube and MySpace. As if that wasn’t bad enough, a local news station discovered the video and reported on it. The student claimed that he intended the video to be a critique of the teacher’s hygiene, but the court wasn’t buying it. In addition to disrupting classroom discipline, the video also constituted sexual harassment of the teacher–so the student’s First Amendment claims failed. Whether online attacks against other students get categorized as free speech or “disruptive” bullying might depend on how effective the attacks are–and on what jurisdiction the school is in. By contrast, in July 2011, the U.S. Court of Appeals for the Fourth Circuit upheld the suspension of another online bully in Kowalski v. Berkeley County Schools. There, Kowalski, a high school senior with a beef against a classmate named Shay created a MySpace group called “S.A.S.H.,” which apparently stood for “Students Against Shay’s Herpes.” She then invited about 100 others to join the group, and a couple dozen did. They posted comments and photos all directed at Shay–posts that Kowalski actively encouraged. Kowalski was suspended from school, the cheerleading team, and other activities for violating the school’s policy against harassment and hate speech. 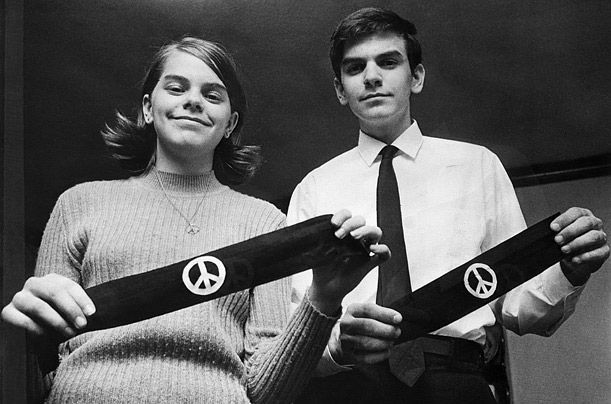 The Fourth Circuit recognized the First Amendment difficulty posed by the fact that Kowalski created her group on her own computer, outside school grounds. But it also found a sufficient “nexus” between her online speech and the high school’s “pedagogical interests.” The court found it “certainly foreseeable that Kowalski’s conduct would reach the school via computers, smartphones, and other electronic devices,” given that most of the group members were students and the group’s target was Kowalski’s classmate. Also, unlike many of the other cases, there was evidence here that the site actually was accessed from a school computer, and Shay missed at least an entire day of classes after discovering the site. Easiest Way to Get Suspended? Threaten Violence. Unsurprisingly, threats of violence are the type of speech that courts are least likely to consider protected by the First Amendment. In O.Z. v. Long Beach Unified School Dist., a 2008 federal case from California, a seventh grader created a cartoon slide show depicting herself murdering her English teacher with a knife. Then she posted it, along with colorful commentary, to YouTube. The teacher discovered the video while randomly Googling herself. She became physically ill and lost several nights’ sleep. The student was immediately transferred to another school. The court had no problem upholding this punishment, or in determining that the student’s speech “disrupted” her school environment. Likewise, on August 1, 2011, the U.S. Court of Appeals for the Eighth Circuit upheld the expulsion of a student who made threats during an instant messaging conversation with another student. In DJM v. Hannibal Public School Dist., a high school student vented his anger over a breakup to a friend over IM. At one point in the conversation, he made several comments about shooting classmates, using racially and sexually charged language. He later claimed to be joking, but the friend he made the comments to eventually became concerned enough to show them to an adult, and later their principal. Even though the conversation happened outside of school, the court found that the district was “reasonably concerned” about the student carrying out his threats, and upheld his expulsion. To sum up, it’s clear that the results of some of these cases would likely have been different if they had happened in a different jurisdiction. The “material and substantial disruption” principle of Tinker applies nationwide, but how courts will apply it is anything but certain–especially when the impact of the speech on school discipline is debatable or open to interpretation. There is at least one thing we can count on, though. As teens across the country get ready to return to school over the next few weeks, a new round of social-media-driven disputes, discipline, and lawsuits is certain to follow.